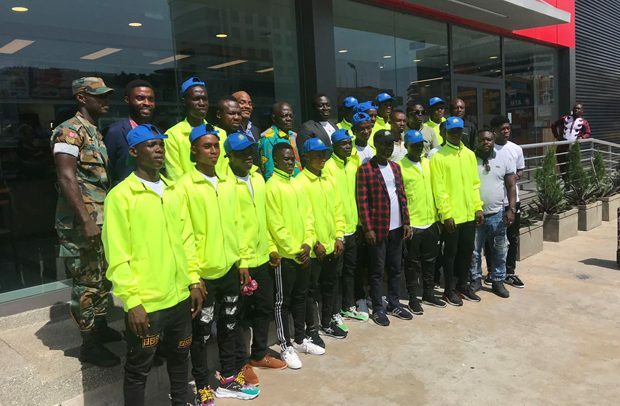 The juvenile side of Bechem United FC (U-17) on Wednesday left their Akuapem (Eastern Region) camp for Dallas, Texas in the US for the Dallas Cup. To the 16-year-old lads who made the trip to ‘Trump Land’, their participation in the juvenile competition is a dream come true. The initiative forms part of the club’s objective of working to improve lives through football. The club president and owner Kingsley Owusu-Achau attributed the feat to hard work and dedication from the technical and playing body. He pointed out that the trip has helped some of the players who would have been on the street but for the initiative and football, saying, “I am glad for the players, majority of whom but for the trip would have been on the street; at least I’m happy we have been able to extend a helping hand to these young ones. Skipper of the side, Emmanuel Awuah, expressed profuse thanks to management of the club for the honour done them and promised to fight to bring the trophy to Ghana. The team will take on Solar South on opening day this Sunday and later play TSF Academy the following day. Later, they will face FC Golden State on April 17. The tournament will end on April 21.